Best Western of Clewiston est idéalement situé dans le centre de Clewiston. Venez découvrir et profiter de notre hôtel à côté des principaux sites touristiques. Réservation au meilleur prix et offres exclusives toute l'année. Prenez le soleil sur l'une de nos confortables chaises longues installées au bord de la piscine extérieure. Une bonne nuit de sommeil vous attend dans notre chambre avec lit king size. Choisissez cet hôtel de Clewiston, Floride, situé sur la rive sud-ouest du lac Okeechobee et offrant un service personnalisé à chaque client. 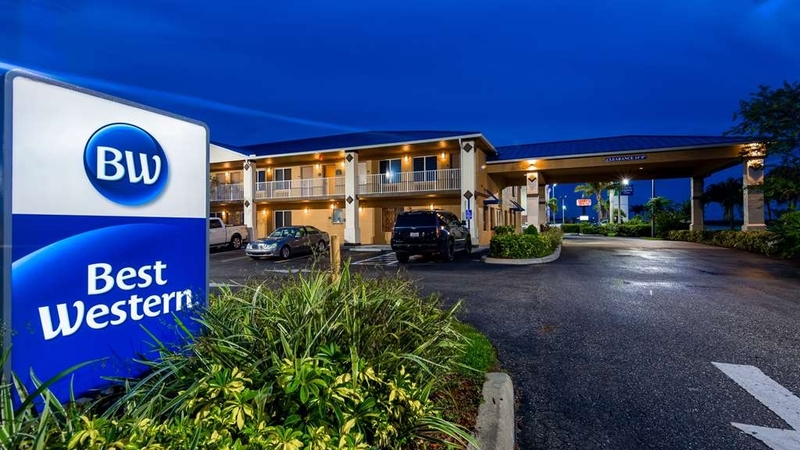 Le Best Western of Clewiston se trouve dans la ville la plus douce d'Amérique, au cœur de l'industrie sucrière de Floride. L'hôtel est proche des magnifiques voies navigables qui relient le lac Okeechobee à l'océan Atlantique et au golfe du Mexique. Nos clients apprécient les nombreux magasins, golfs et restaurants installés à proximité. Nos clients sont également proches de la jetée de pêche avec location de bateau et scooter des mers. Chaque chambre bien aménagée comprend accès à Internet haut débit gratuit, accès longue distance gratuit et tous les équipements et services standard. Les autres équipements de l'hôtel incluent piscine extérieure chauffée et petit déjeuner complet gratuit. Des tarifs de groupe et des réductions spéciales pour les membres AAA sont disponibles. Un personnel multilingue et attentif saura rendre votre séjour confortable et inoubliable. Réservez dès maintenant votre chambre en ligne et faites des économies dans cet hôtel de Clewiston, Floride ! Passez un excellent séjour ! "ALL accessible outlets were intermittent - good luck if you use a CPAP machine"
This property has been poorly maintained. Every electrical outlet that I could access was intermittent and temperamental. Good luck reliably charging your electronics, and really good luck if you depend on a CPAP machine. The room ventilation was poor--one window AC had to cool two rooms connected by a narrow hallway, the lighting was very poor, and the dark orange paint didn't help. Not staying here again. At least the suite was quiet, the hot water worked, and appeared to be clean. "Clean room with a good bed"
We needed a one night stay in the middle of the state, so we found this Best Western. We knew nothing about Clewiston and apparently there are some sugar factories in the area and they give off a unique, off-putting smell. Thankfully the room smelled just fine. I'm not sure if the sugar factory smell is always around, but it was in full force when we were there and it's quite strong. Maybe those that live nearby get used to the smell, but I was happy to be on my way in the morning. The staff was nice and the breakfast was sufficient. There were nearby restaurants within walking distance. Hotel was not seedy but it was dated. Room was clean and everything worked. Adequate number of outlets. Lighting could be improved. Bed was soft but probably not supportive for someone with a bad back. Highway noise would have been an issue had we not had the A/C on. Breakfast area was small but well done. There was a good assortment of food. Gald you found your room to be clean and everything worked property and we thank you for your feedback. We love that you found our staff to be amazing!!!! and we are pleased your enjoyed a good hot breakfast to start your day. "Great roomer excellent customer service if taking a trip away from the city, visit this hotel"
Unfortunately we wouldn't go back. Not only was the hotel not up to par with other chains similar but we had a difficult time communicating with the staff. I wouldn't recommend this particular hotel to anyone and if all Best Westerns are like this, it's a shame. Very poor experience. "Not up to Best Western's standards"
This is a small town with few amenities. Yet it has a BW, Holiday Inn (under reconstruction) and locally owned hotels. Things went wrong from the beginning. There was no desk clerk. She was outside on her phone. The room had no clock-radio, so one had to call the desk for a wake-up; the tub/shower was extremely slippery–no tub mat; the lobby toilet hadn't been cleaned in some time–the toilet was full; there was no means to get water on the first floor to refill a go-cup. Ands its groosly overpriced. Shame on you, BW! I have stayed at this motel for years and they have treated me very good. I have enjoyed my stays here. Would recommend to anyone wanting to stay in Clewiston. Have a good stay here and enjoy the sugar mill. We love that you continue to return year after year, our repeat guest are like family. We can't wait to see you on your next visit. "Unexpected combination family and business trip"
We had an opportunity to visit our son while he was working in Clewiston. The Best Western was the best of limited hotel choices in town. It is definitely an older motel style building and some of the maintenance could have been improved but the staff were friendly, the price was premium (supply and demand) and the rooms were clean. 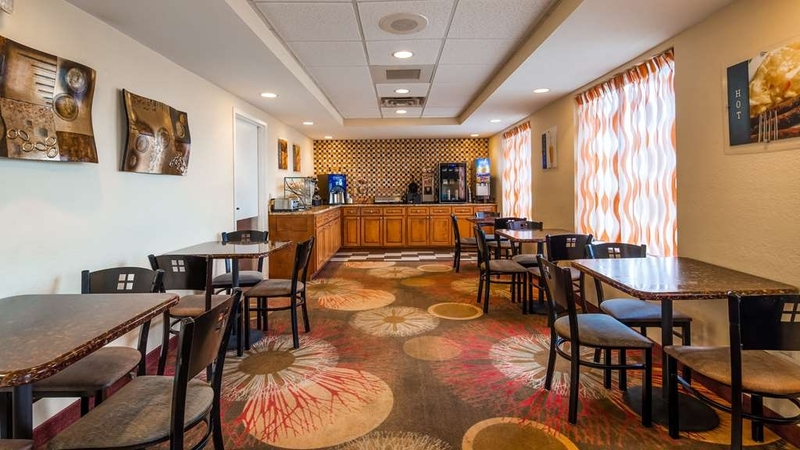 This Hotel has very large rooms, recently remodeled, nice hot breakfast buffett, We were treated nice from the moment we reserved the room , through the entire stay and after our group left, we were called to make sure we treated well. Will definitely return for our next meeting. centrally located, good price , large rooms, excellent breakfast. I will definitely be staying her again when I am in the area. Staff was accommodating and plenty of parking Check in was very informative and check out was nice and quick . The pros: large rooms, clean, refrigerator, microwave, coffee maker, reliable WiFi in the room, complementary bottled water at front desk. The cons: poor breakfast, kind of pricey. Between the two of us, we had AARP and AAA but were still charged $138 (including tax) per room. On a weekday in a town like Clewiston, that seemed over the top. But we were tired and ready to stop for the day. We sucked it up for one night, but still . . . I stay here when I visit Clewiston. The hotel is clean and the staff are very friendly and helpful. They are pet-friendly and always treat my fur babies so good. Pillow top mattress makes getting up in the mornings extremely difficult. I would give it 5 stars but the pool could use some sprucing up. The room was extremely over priced for the quality. The room smelled like smoke, the phone didn't work, the room had long dark hairs everywhere. We were very disappointed in this hotel. When we travel back to Clewsiton we will def NOT stay here. Good Afternoon, I would like to start by apologizing for the experience you had at our property, I will take action immediately to remedy any issues you had with that room, and I would like to express my deepest apologies for this experience. "Got me you presented this"
I feel Clewiston is an excellent hotel - professionally staffed with exceptional service. The rooms are a comfortable size and well maintained. The breakfast is well presented with cereal, eggs, meat, toast & bagels, etc.. I would recommend this hotel to anyone traveling rt.27 through Florida. Dear Guest: Thanks for sharing your stay with us we are so very pleased you found our staff to be friendly and always professional. We are elated you found our spacious rooms to be comfortable and your breakfast was a great way to start your day. I stayed here to assist in a local camp clean up after hurricane Irma. The room was spacious, clean, had good water pressure, bed was amazing, housekeeping was great, parking was plentiful, front desk during check in and check out was easy. I will stay again in the future. This Hotel is very dirty and extremely old and smelly. The sheets are so old and nasty they are no longer white they are brown. the covers although were placed as clean are so old the dirt will not come off it, the beds are so nasty that when they remove the sheets there are stains everywhere. The carpet is extremely filthy and has not been cleaned in years. Very nice experience. Brought my wife to see the lake and we needed a last minute place to rest. Clewiston is s small town in the middle of sugar cane fields. BW is conveniently located on the main road just down from lake access and the restaurants. The staff were very kind and our dog was a welcomed guest too!?? "My terrible experience with Best Western." "Great Hotel if your passing thru"
This is a nice hotel for the money good breakfast friendly service and good internet . Will stay here again soon.If your on your way to miami or sebring must stop and say Hi swim in the pool and enjoy the hot breakfast the next morning. "Nice people, maybe it's what I should expect in that town, but not what I would have liked"
Hotel is old, trying to make do with what they got. The room was actually a make believe suite with a small living area, but it leaves the bedroom to have no window at all. Felt like I was sleeping in my parents basement! The door opens to the outside which is so 20 years ago style. The guy in the room next to me fired up a Barbie on the sidewalk and my whole room smelled like smoke. Hey, it is what it is...Walmart is across the street, a decent restaurant walking distance.... It's Clewiston, not Palm Beach. "Clean and tidy stop over while touring Florida"
Great little room, 2 x queen beds, aircoc etc. Breakfast was included, waffles, biscuits, sausages etc Also is right next door to a Walmart and Burger King making it super handy to quickly restock and continue travelling. Staff were also very polite. "Stopped in for the night"
We drove all day and goggled hotels on the town we planned to stop for the night in which was Clewiston. We needed 4 rooms and they were great to place us on lower floor and the family together. 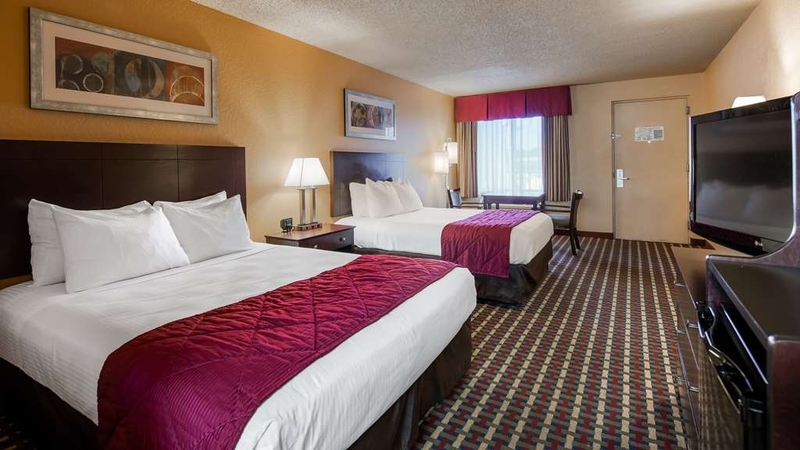 The room was very clean and comfortable and the price of the room very reasonable. "Outstanding Hotel, Staff, price and experience"
Hi, I do not normally write reviews and when I do they are typically negative to help improve service. In this case, it's completely reversed. I happened upon the Best Western in Clewiston by chance. There are many choices in this area. I found the hotel, the amenities, the service, the room and mostly the staff to be simply top notch. Particularly the manager, Vivian. Always working hard and very friendly and accommodating. Vivian's positive and professional approach has resonated with all her staff. From the front desk staff such as Vanessa and Jesus, to the housekeepers. Everyone is smiling, friendly and the very few times I needed help with something, they were there and took care of my needs immediately, The price for this wonderful stay is incredibly reasonable and the service, in my humble opinion, rises above a Hilton. I say this because at a Hilton, you can see the assistance is not necessarily real. They do it because they are expected to. At this Best Western, they do it because they WANT to help. There is a difference to me. Better people help and smile because they enjoy their jobs. Great place. You will not be disappointed. Clean and good value. Vanessa and Carla are always great and very accomodating. Good location and very clean rooms. Easy reservations and good breakfast-wondereful waffles. Stay here frequently and never disappointed. Best western of clewiston did a great job! Had an amazing vacation that included a great hotel stay with free internet and breakfast! The breakfast was first class, I might add. Pool was awesome as well! 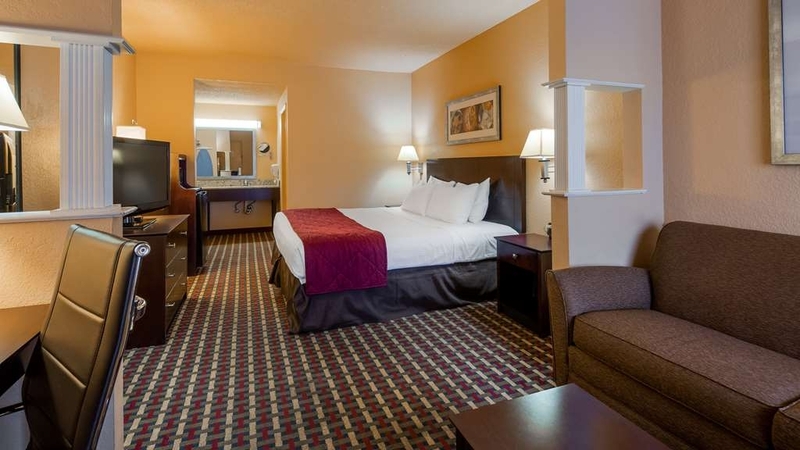 "Avoid it if you can"
Reservations made via the Best Western Website proved to be an outstanding value & accommodations, cleanliness, comfort & customer service. Breakfast offering was surprisingly better than most hotels for the price & limited staff. Front Desk personnel at Best Western Hotels must attend "special knock your socks off customer service academies" because their employees almost always exceed my expectations. When I return in August I plan to stay at the Clewiston Best Western. "OK to stay for one day"
Not much choice in this small town. This hotel price is better than the motels in the town. Rooms are big, bed is OK. Bathroom OK. Breakfast limited items, coffee not good. Reception is friendly and helpful. 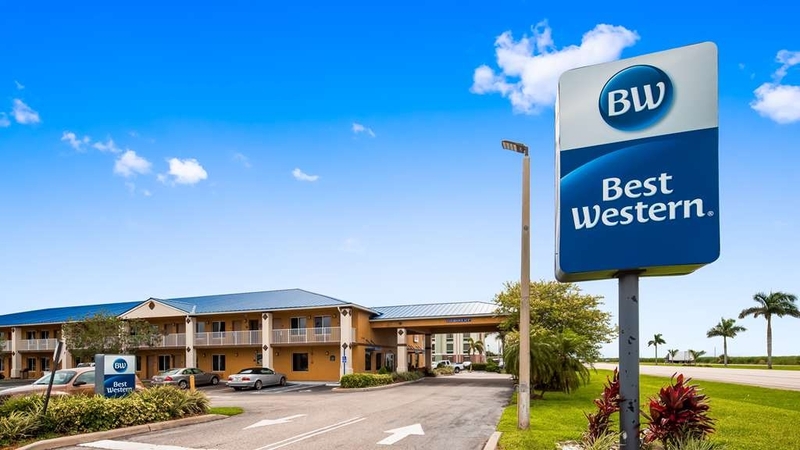 Traveling from Montana to Florida during the Christmas holidays we chose the BW Clewiston due to its proximity to Lake Okeechobee and activities we planned there. While the room was clean and the bed firm, nearly everything else ranged from below average to unacceptable. The room safe did not work and the front desk did not offer to either replace it or move us to another room. The air conditioning worked only infrequently, and at a setting of 65 degrees kept the room at about 74. The television remote did not work except for off/on and volume, so only a single shopping channel was available. The coffee maker was not emptied and not resupplied for our 2nd night's stay. And the noise from the next room kept us awake after 2AM. On checkout the clerk offered to check with her manager about a discounted rate and said the receipt would be mailed to me which never happened. And, after taking a BW on-line survey about the stay, the manager contacted me with a message that said because a few things had not worked well in our room we could have a 25% discount on our next stay there. Since our travel plans don't include returning to Clewiston, this offer was mostly hollow, although we believe it was well meant. Would not recommend this motel. "Horrible room conditions, waiting for the manager to call me." I have made my reservation in advance due to the Holidays. We were coming from Miami to visit my husband's mother. While making the reservation, Vivian the manager put me on hold for 9 minutes, i called again and a pet friendly room was reserved. Upon arrival, Thursday 11/24 (we checked in around 2 pm) front desk again, Carla, informed me that the room that i was designated to, was under construction. I have a hard time understanding why would they assign me a room that was not ready to be rented yet. So she gave me a room on the second floor, which was a hustle to go to with a pet. I got room 202. (I took a video )Oh my goodness, once we entered the room, it smelled like cat pee, it was warm; i then attempted to call the front desk and the phone did not work either. We were on a rush, so we decided to drop the bags and go to my mother in laws, the carpet was filthy, my feet were black, the hair dryer did not work either, the sheets were sting. The ac had a hard time getting cold , we sympathize for our poor 17- poddle pooch who stayed in the room for 5 hours or so. We took her out and my husband and i made the decision to stay somewhere else. The conditions of the room were really unacceptable. We talked to the night auditor before we left, she did not have a name tag and we wanted to ask for at least a refund, because we paid cash she said that the manager would call us the following day (Friday 11/25). The call never came. I think its just unfortunate, we really looked forward to spend time with family and return to a clean room for some relaxation after turkey dinner. This has completely ruin our Thanksgiving night. 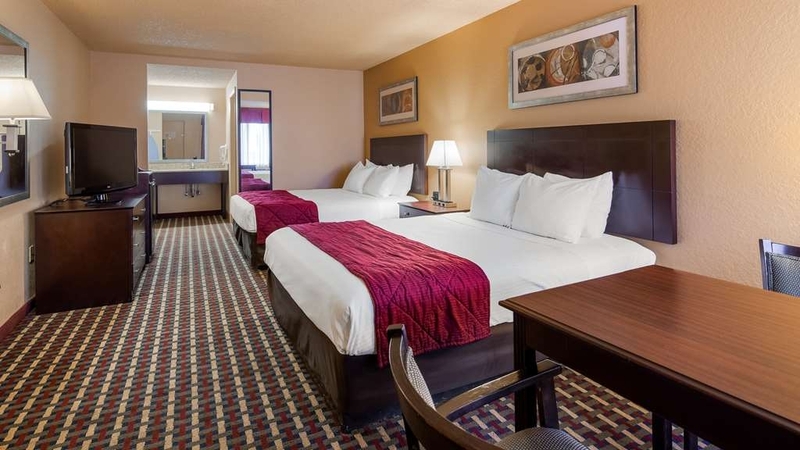 "Clean Rooms - Comfortable Beds"
For a quick business stay in Clewiston, FL stayed at Best Western. Very comfortable, friendly staff, easy location. Good option. 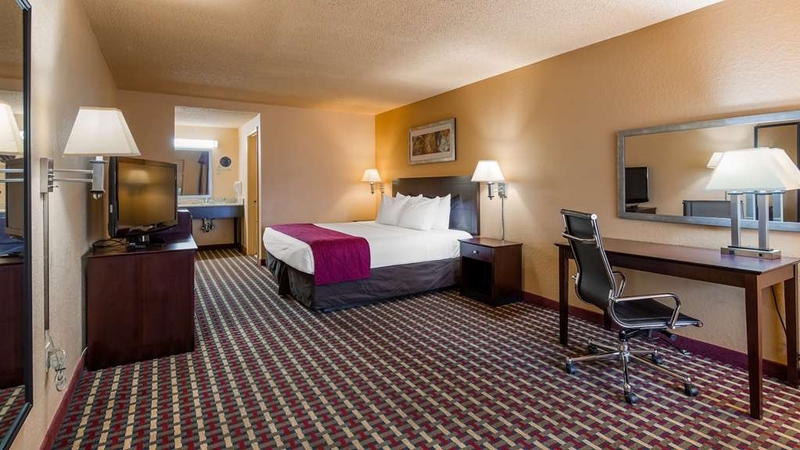 Spacious room, easy access, clean, comfortable beds, room to move around. "I can't believe I stayed"
It all started with the inability of the front office staff to accept a Best Western provided gift card. Then I couldn't get into the room because the card reader only worked intermittently. During the rest of our stay, fixtures fell off the wall, the toilet continuously ran, the lights flickered all night, the internet wouldn't work, the shower floor was soft, and to top it all off, the office printer wouldn't work to give me a credit card receipt. The clerk said they would e-mail the receipt and didn't. Is this the way the whole town is? I don't believe I will return to Clewiston due to this bad experience. "BETTER THAN YOU MIGHT EXPECT!" We were there for a Pop Warner football game.We were very pleased with the experience and recommend this place for the combination of service and value! There were a lot of trucks with boats attached - - but they have a parking lot with spaces for trucks with boats! Unusual! Breakfast started at 5am to meet the needs of travelers, which is the earliest I have ever seen. I checked in at shift change, so I got to deal with the evening person and the late night person and they were both delightful! We chatted with the late night person at breakfast and she was wonderful with out one year old! Pool was very long and I was able to swim laps, but it's a bummer it closed and dusk so we could not use it when we checked in. 4 star for pool hours, not many towels, and the two dead cockroaches in the room . . . but we're Floridians, so the fact that they were dead is a plus! Corned beef hash for breakfast? Winning! Room was large, appeared clean. Did see a baby roach in fridge. Where there is one there are more. 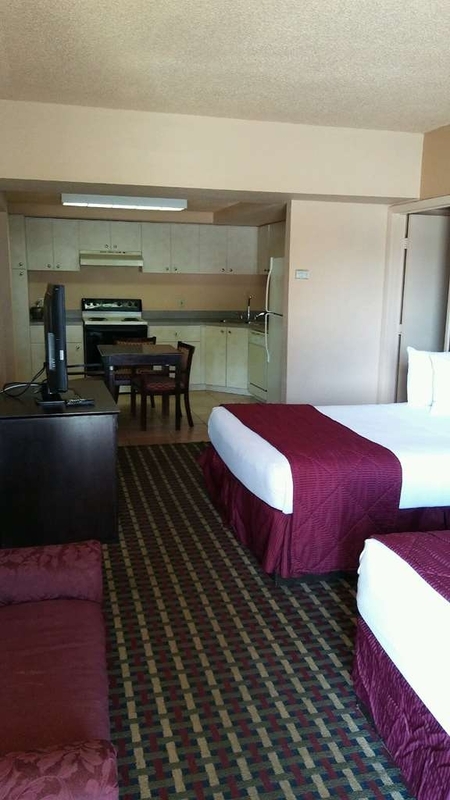 Large room, decent TV, bed was really comfortable. Stayed only 1 night, family emergency. Would stay here again. Staff was polite. This hotel was nice in appearence and lighting. The decor was nice in the room, and it was very spacious. However, the room was very humid upon arrival. The sheets and towels smelled like they were put up when they were not completely dry. They only gave us two bath towels for two adults in a king room. The bottom of the shower curtain had mildew on it. The room did not smell fresh and clean like most Best Westerns I have stayed at. The mattress felt old and was not as comfortable as other hotels. This was more like a Travelodge stay. The breakfast was good and well kept. Next time I would stay at the Holiday Inn next door. Clean and quiet hotel stay. We stayed their with another couple and their 2 children. The ambient was great and the rooms clean! three's was no partying going on. Just wish the breakfast area was a bit larger and that they would have coffee at all times. The hotel physical plant is definitely showing its age, as evidenced by the roof work going on while we were there. 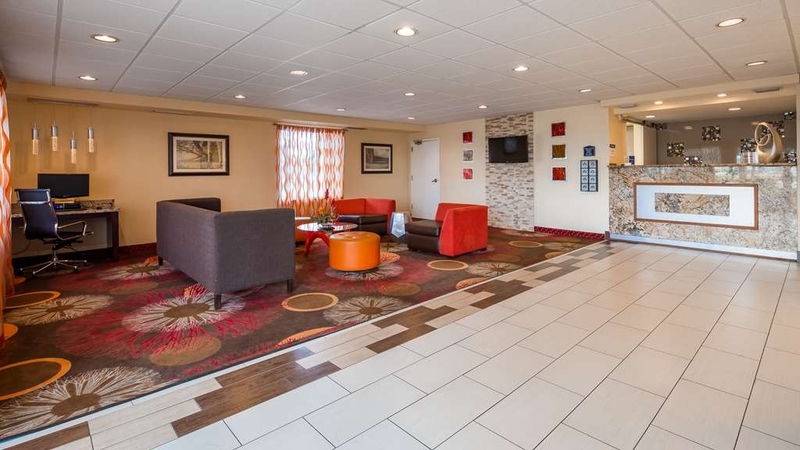 The rooms are typical "motor court" style; parking in front of your door, and only two floors. Our room was at the back, near the temporarily closed pool. (Construction on roof cited for the closure) The room was decent enough, if a bit dated. Bath was clean, but needed some work. The one thing that really got us, though, was the AC! The smell was horrifically bad: foul, nauseating, moldy...god only knows what was growing in there! *Shudder* Breakfast was fine, and all the staff members were friendly and helpful. "Please check next door at Holiday Inn before booking"
"Outcome of stay at Clewiston, Florida"
I stay a Best Western every year I go to the Brown sugar Festival in Clewiston. Every year we get the same top of the line services. The hotel is always clean and client friendly. the rooms are always clean and fresh. The staff is professional and courteous. This hotel is great I always stay here. I feel safe and the staff is always so friendly :-) The Free Hot Breakfast is great. Saves time and money so of course adds value to your room stay. Thank you Clewiston Best Western for your great friendly service. 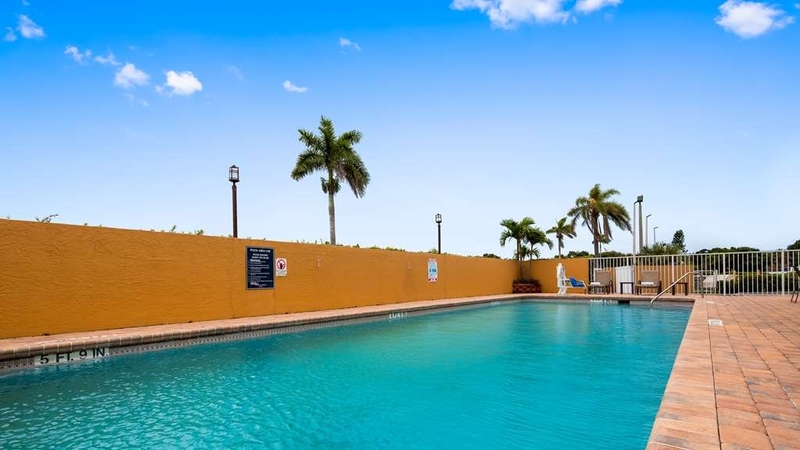 "Good location for South Florida vacation"
Quality beds, decent breakfast, good service. Quiet location for sleeping. Internet was slow in the upstairs rooms. 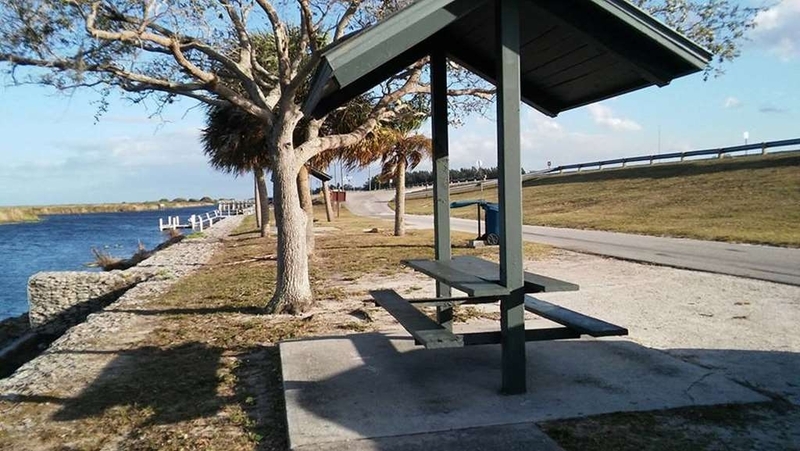 Hotel is close to Lake Okeechobee and close to some restaurants. We ate at Beef O'Brady's.
" A nice place to stay"
I stayed here for four nights. The staff at check in and check out were very friendly. The hotel was quiet. The room was furnished nicely. I enjoyed sitting on the couch while reading. The room and bathroom were clean. The bed was comfortable. The pillows were a bit to firm for my liking. But, they were stiil good. The towels were soft. The water was hot for showering. The fridge worked fine. Coffee cups were replaced each day. (Sometimes the maid forgets) It is a very convenient hotel as noted. Plenty of stuff around to do and eat. I don't have any complaints about this hotel. I would stay here again. Right from the jump I was hooked! We arrived at our hotel nearly two hours before check-in time, tired and ready to relax. How nice to find that Vivian would allow us the luxury of an early check-in! Our room was clean and inviting and contained everything we needed. The staff was professional yet friendly, and always courteous. The breakfast area was always well-maintained. 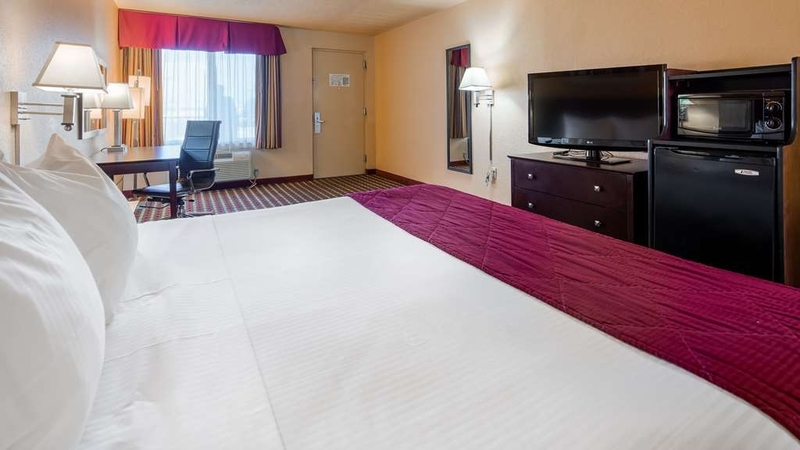 "Cold AC, clean room, helpful staff"
Well maintained room, helpful staff, center of activity, close to Walmart, walking distance to Sonny's Barbaque and Burger King. Flat screen tv's but still analog feed, what a waste. While in the area take the sugarcane harvest tour run by the C of C.
"Worst hotel I have ever stayed in!" Upon my check in, I was rushed and didnt pay much attention to the actual room. Upon my return, there was a cockroach in the bathroom and the shower was not all that clean. You can see the black mold in the grout which needed to be cleaned. As if that was not bad enough, I woke up in the morning with bed bug bites all over my legs. I would not recommend anyone staying here. I totally regret not staying at the Holiday Inn Express next door. "Pristine friendly place to stay"
Located in a laid back community with not a lot of traffic to deal with. Everything is close by. A strip mall, fast food, homemade cooking and a few fine eating places to enjoy. Friendly people and many nearby places of worship Great fishing and golf and casinos to enjoy. A super place for a vacation. We are so very pleased you enjoyed your stay and our great location. 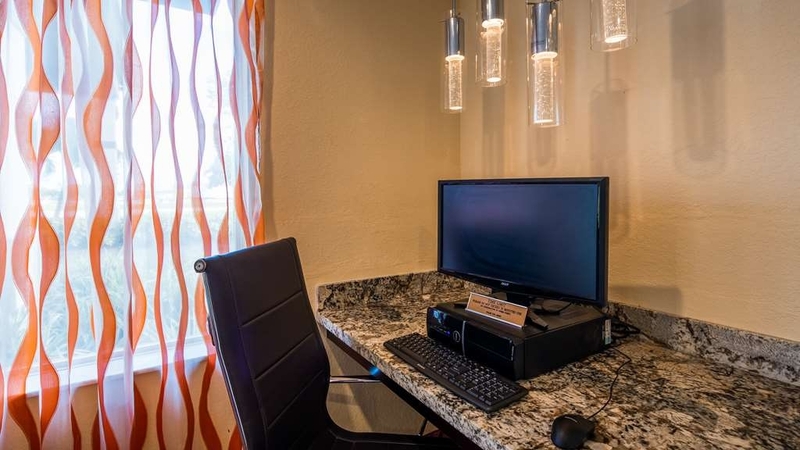 We are in a very quiet area where rest and relaxation is at your fingertips. My family and I were in town taking care of some last min paper work with our boat and after looking for a place to stay Best Weastern had the best reviews and they deserve them! The rooms were clean and comfy and the breakfast was great! We will be visiting again soon. Congrats!!! on the Boat!!! we are so happy we were just what you needed and we Thank you for taking the time to share your stay with us. "Best Western or Worst Western"
Very, very low budget hotel. Dirty and old. Windows and doors so thin you thought they were open when someone outside spoke or moved a vehicle. Definitely do not recommend this place. And not real cheap either! I have stayed here many many times I would say 9 out of 10 times no problems but nothing is always perfect. Great staff, friendly and helpful. Free Hot Breakfast with stay is great and such a variety of breakfast items for anyone to find something yummy to start the day. Perfect location for my needs. I will stay again and again in the future. Out of date hotel. Needs updating. Out of date switches. Out of shower curtains, drapes and air conditioner is terrible. Just a completely out of date hotel that is in good location. But needs updating. And for the price. They get you due to fishing events going on at lake. Best Western should be ashamed getting the prices they are getting for these rooms. Holiday in is right next door at the same price and newer hotel. "Good Stop in The Middle of Florida"
No problems at this Best Western. We stayed 2 nights on a mini vacation. The room was clean, comfortable and quiet. Check in and Check out were very easy. The hot breakfast was good. They changed it up a bit each day (one day was biscuits and gravy, the next scrambled eggs). This motel is convenient to both coasts. So if you are traveling East or West check it out. Just be aware - there are fishing tournaments that my cause the place to sell out. Check ahead first. There are options in the area, but I will most definitely stay at this motel again if I am in the area. Great Staff. Clean and comfortable rooms, boat parking, laundry, and breakfast. Enjoyed my stay. Would recommend staying at this property. Accommodating staff had everything I needed. Come for the fishing, enjoy your rest. "In need of new beds!" Hotel needs to do some remodeling, bathroom did not look clean. Beds are old, uncomfortable and squeak. Woke up with an aching back and a stiff neck from the rock hard pillows (suggestion... bring your own pillow!) Bathroom needs some updating and major cleaning. The staff was polite and courteous. 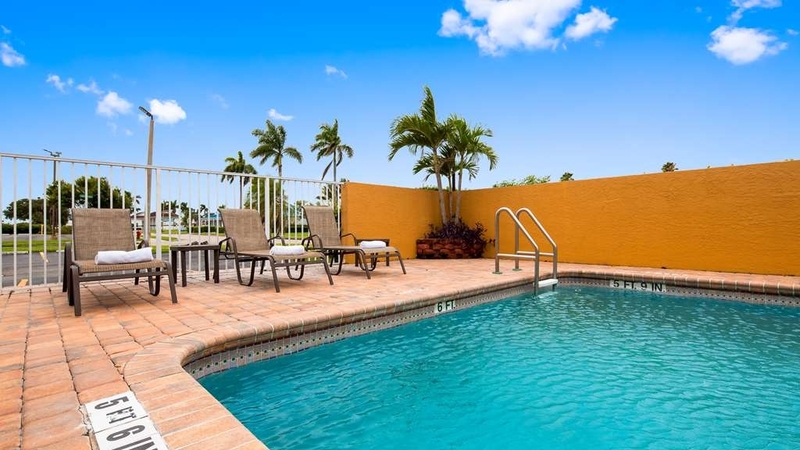 "Just good value for money"
The Best Western Clewiston is an oasis between the Everglades and Lake Ockeechobee. Breakfast is both hot and excellent. It starts at a sensible time (0530) for those of us working in daylight out of doors. "clewiston is a very small town but nice." front desk girls are super nice especially miss Carla miss Yvette miss Vanessa and miss Sherilyn beds were so comfortable and really clean and so spacious breakfast room was wonderful everything tasted so fresh parking lot is perfect for your truck and trailer my staying there was great i really enjoyed my time here i really recommend you staying here...i stayed here for two months and it was great. Went for a birthday hang-gliding trip. We found the hotel to be great for the money. Wish they had a Jacuzzi but didn't use the pool. Staff was great. Big disturbance next door to our room at 4:30 a.m. but was handled within hour. Not fault of BWI--disorderly guests! Breakfast okay. Would stay there again if in area. "A wonderful high quality hotel!" Me and my family recently stayed at the Best Western Hotel for one night (08/9/15). We needed a nice, inexpensive place to stay while visiting our family,who lives in this peaceful town. When we first entered the lobby, the receptionist was very pleasant and was very acknowledgeable with the hotel amenities, city, and restaurants. We checked in our double queen suite, the décor was very modern and inviting, The room was accommodated with a flat screen TV and coffee/coffee maker that is a plus in my travel "wants". The hotel had a good size pool, which my son absolutely enjoyed! The hotel offered a complimentary "Hot breakfast", the was marvelous! Which is another PLUS for my travel "wants". My family took advantage of all the hotel offered and wasn't disappointed, therefore, recommend it to others. As for me and my family we will surely stop here when Clewiston is our destination again. I am sorry to say this, our hotel room was very clean and the staff was friendly. I stayed there August 7th-August 9th (fri-sun). I ended up leaving a pair of my prescription glasses in my hotel room and I realized when I got home and called them immediately, as they were expensive glasses. The women who I had spoken with was very nice about it and said she would mail them out the next day which would have been Monday the 10th. I live in Wellington so i didn't think it would take long so when I hadn't received them the Thursday following I called again and the same women told me that she just sent them out that day (not Monday), and still I received nothing, I just called again yesterday, August 18th and she told me that they were mailed. I am not sure what is taking me so long to receive them when they were apparently mailed on August 13th. Today is August 19th and I still do not have them. This is the one thing that disappoints me the most! I know I am at fault for leaving them behind but I like to think that the staff is honorable enough to mail them seeing as I called them basically an hour after I checked out to report the issue! And I am not sure what kind of staff member would want prescription glasses but everytime I call them I am given no good information and no one seems to care about the issue. A/c is horrible. ..cops came at 3am, woke my husband up, 3 doors down they were drunk and arguing, , breakfast was great. Nice and clean rooms, but otherwise clean, quiet. .small pool, stay away from sonny's, , food cold,.front desk lady was nice. Motel exterior was well kept. Room was clean and decorated nicely. Bed was comfortable. Staff was profession, helpful and courteous. Breakfast was well served with many selections to choice from. Very good motel to stay at. "Very clean and economical place to stay." This is your basic motel. Exterior was well landscaped. Interior was clean with ample lobby. Staff was very courteous and professional. Elevator was a winding hallway. Room was ample in size, very clean and quiet. Room had microwave, mini fridge and coffee maker. Shower was ample with curved rod. Shower head was large but had less pressure than I'd have liked. Bed was comfy. The pillows were a bit over stuffed, with no options for a flatter or softer pillow. Breakfast was good, eggs, bacon, waffle along with cereals and pastries. Also juices and coffee. We used lobby for family visit and photos. I think this is the best place to stay in the area.